Accomodation in the centre of historical town Prague. 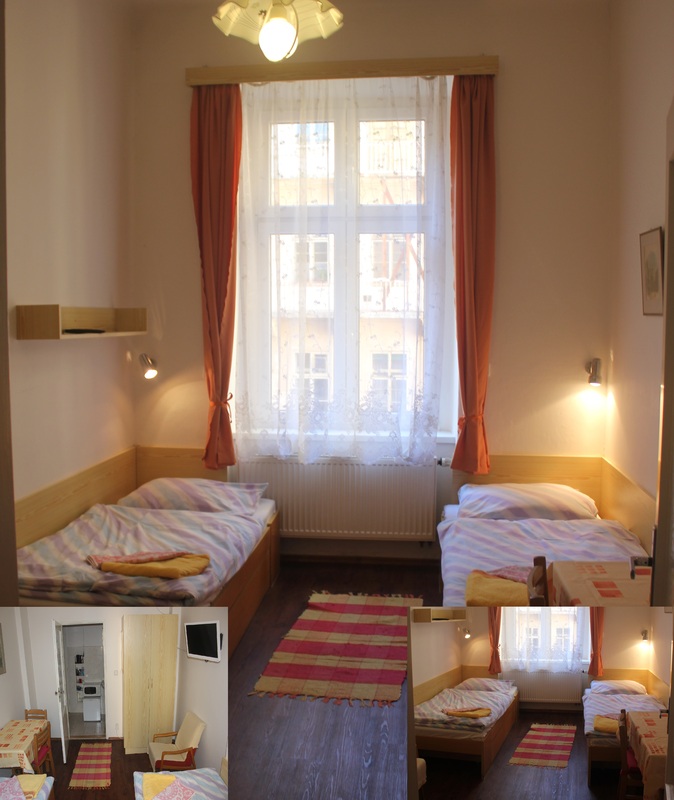 You have just found an accommodation in historical centre of Prague for 1 to 7 people. 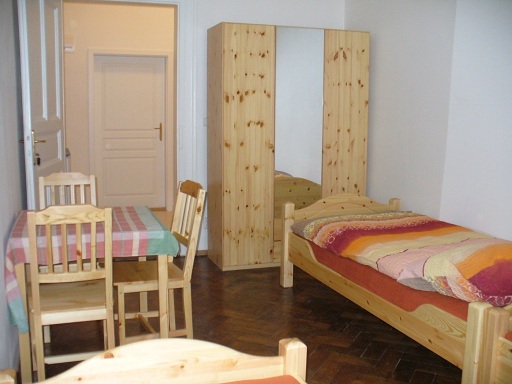 We can offer you 2 apartments in Prague’s district called „Malá Strana“. Apartments are located only 12 min walk from famous Charles Bridge and you will just cross the bridge to reach National Theatre and the spot from which Prague Castle complex is being most photographed! First apartment is a double room. 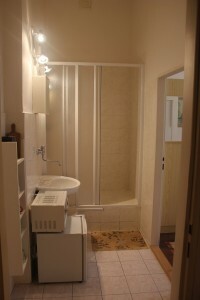 Second apartment contains of 2 bedrooms with shared bathroom and toilet. Scroll down for more information about each apartment. Both apartments are equipped with microwave oven, kettle and selected kitchen ware (glasses, cups, cutlery etc.). Apartment A and B are both located in the same historical building and its location ensures both perfect public transport connection and quit undisturbed stay. Clean bed linen, fresh towels and Prague’s centre map is certainly included in price. At your arrival we would be happy to point you interesting and favoured places, recommend business/restaurants where you might enjoy to eat or shop (and last but not least which places to avoid). We would explain how Prague’s public transport works and what the rules for parking in Prague are for those who arrive by car. Apartments are fully covered by free Wi-Fi. is located in second floor with its windows facing inner yard. By default there are twin beds in bedroom, but it is possible to join them to the double bed if required. Furthermore bedroom contains table, chairs and wardrobe. There are basin, shower stall, little fridge and above mentioned equipment for simple food preparation in adjoining room. is located in first floor. 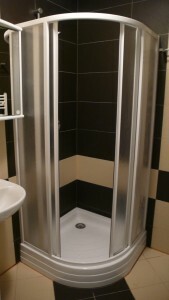 It is possible to get through connecting hall with kitchenette to the two lockable bedrooms, shared bathroom and toilet. Bigger bedroom contains 3 beds and other furniture. This room provides a lot of place to sit around table and to store all the luggage. 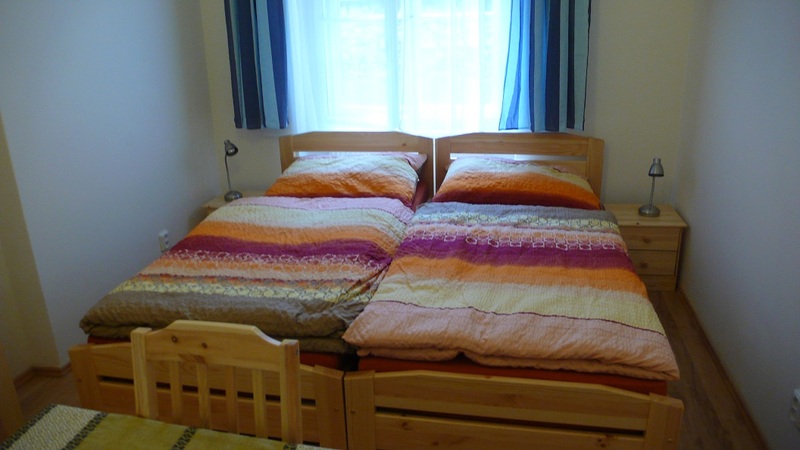 Second bedroom has twin beds by default, but it is possible to join them to the double bed if required. Please contact us on email “info-at-paul-prague.cz” to make a reservation, or call “+420 603 232403” or “+420 777 949 206” for finding out dates schedule availability or for any inquiry you might have. Owner of apartment speaks Czech and English only!